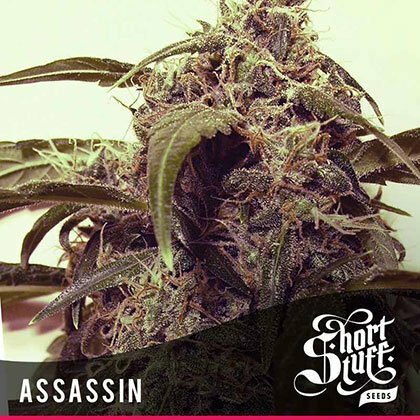 Shortstuff seeds free seed promo – For a short time only get 2 free female Auto Assassin cannabis seeds with every pack of Shortstuff seeds purchased. Auto assassin from the Shortstuff seedbank is an autoflowering version of AK47. This strain has been inbred and reworked many times to increase the potency and yield of the original auto AK47. Some say the word assassin is derived from the Arabic word Hashshashin or ‘hashish user’ and Auto Assassin is certainly a deadly strain that provides a killer buzz. Like all auto flowering strains, Auto assassin goes directly from seed to flowering stage regardless of the hours of light it receives and will be finished in around 10 weeks from seed.